Home / converge / internet / isp / News / plan / tech / tv / You can now Stream your favorite TV shows with Converge Freedom. You can now Stream your favorite TV shows with Converge Freedom. Converge ICT launches its newest offering to its consumers, the Converge Freedom. With this new services the consumers the power over what they watch. You will no longer limited to watching your favorite shows real-time but you can also playback TV programs up to 7 days. You can easily access it on your smartphone and tablet via FREEDOM App. 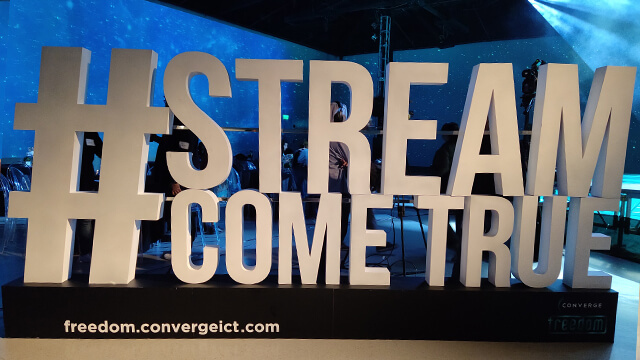 The Converge Freedom is exclusively available only for Converge ISP. The app is available on iOS and Android devices. According to the company, this is one of their many offering this 2019. Converge Freedom Plans are initially available in Metro Manila and North Luzon Area. Converge Set-Top Box - a plug and play device that allows your TV to receive digital signals. Package includes: STB Kit, Remote control, power cord, HDMI cable, UTP cable, RCA to AV cable. As a treat, existing subscribers will have a 30-day trial from March 30 to April 30,2019. Visit http://freedom.convergeict.com for more details.